is just east of Mintaka, the right-most star of Orion's belt. M78 and NGC 2071 (above) were discovered by Pierre Méchain in 1780 and are part of the Orion Complex, which includes M42 the Great Orion Nebula. 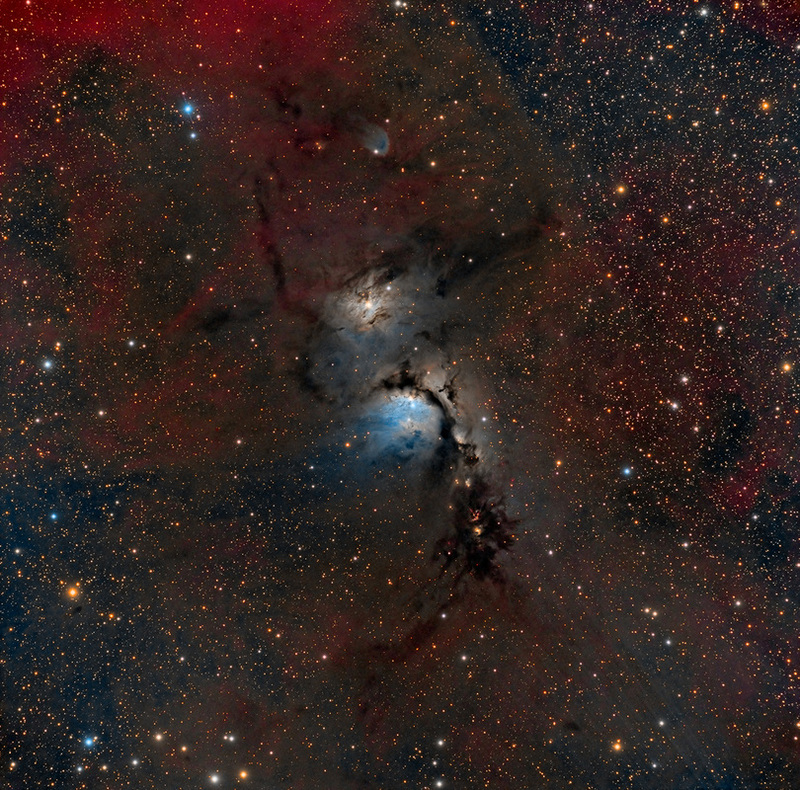 M78 is the brightest, diffuse reflection nebula in the sky and contains some active star-forming regions. For the imaginative viewer, several angelic 'faces' hide within the bluish clouds. Thanks to my observing partner Michael Miller for acquisition.